When fifteen-year-old Lance Covington finds an abandoned baby in the backseat of a car, he knows she's the newborn daughter of a meth addict he's been trying to help. But when police arrest him for kidnapping, Lance is thrust into a criminal world of baby trafficking and drug abuse. His mother, Barbara, looks for help from Kent Harlan?the man whom she secretly, reluctantly loves and who once helped rescue her daughter from a mess of her own. Kent flies to her aid and begins the impossible work of getting Lance out of trouble, protecting a baby who has no home, and finding help for a teenage mother hiding behind her lies. In this latest novel of suspense and family loyalty, bestselling author Terri Blackstock offers a harrowing look at drug addiction, human trafficking, and the devastating choices that can change lives forever. 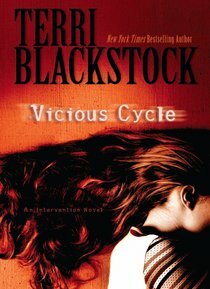 About "Vicious Cycle (#02 in Intervention Novel Series)"
Order now to secure your copy when our stock arrives. Other edition is available. 9781511369848 0 Available. Expected to ship in 6 to 7 weeks from Australia.